For the Tampa Bay Lightning, success was just a lap behind them. And so, on Saturday night, they reached behind and grabbed it. 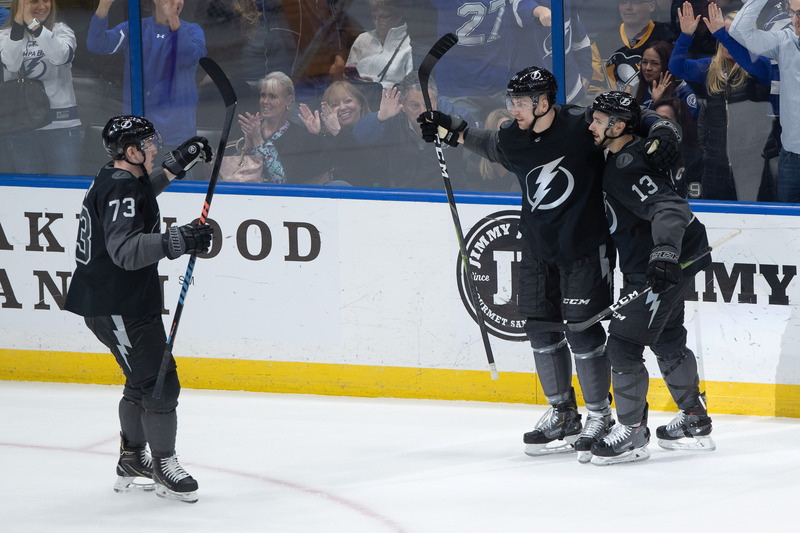 The Bolts, who had lost five of their last nine games and were slumping on offense, finally had a good night in a 5-4 victory over the Pittsburgh Penguins. The Bolts won their 40th game of the year, improving their record to 40-11-2. The Bolts had several players end personal scoreless streaks in their win. For instance, Anthony Cerilli scored his first goal in 21 games when he scored his fourth short-handed goal of the season. Also, Tyler Johnson scored his first goal in 14 games. Also, Erik Cernak scored his second goal in 32 games. Also, J.T. Miller scored is first goal in five games. Also, Yanni Gourde scored his third goal in 15 games. Nikita Kucherov, the NHL's leading scorer, was minus-four for the night. He played his ninth straight game without a goal. Cirelli is now tied for the NHL lead in short-handed goals. “It definitely feels good to get one after a little slump there," Cirelli said. "Great plays by Killer there and Mac on that goal. It was really good to get those two points tonight. Johnson scored his 19th goal of the season. 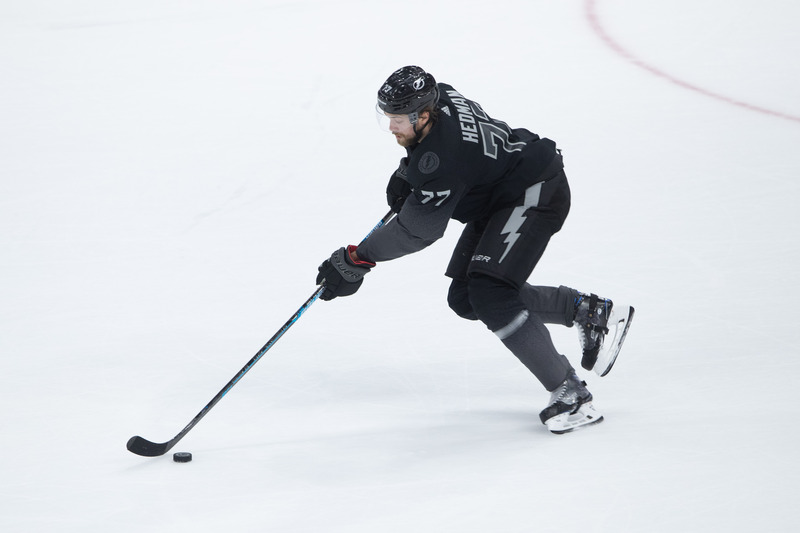 "When pucks aren't going in, sometimes you try to force it too much but you just have to get back to the basics, get back to what's worked and I thought we did that," Johnson said. "I thought us shooting the puck created some other opportunities for us to be able to make plays after that, and that's kind of what you need to do. Johnson enjoyed scoring his go-ahead goal in the third period. "It feels really good, obviously. When you’re not scoring or getting opportunities your confidence starts to dip a little bit," Johnson said. "But I knew it was just a matter of time and I just had to keep going. Luckily Stammer and Pally made a great play there and really the whole goal is because Coby drilled the net there and created some opportunity and some ice there for us and it's just great when it goes in." Miller said there was a playoff-like atmosphere to the game. "There's a lot of caring for both teams, every play is so important," Miller said. "Everybody is battling for position in the standings and here on out is where it's crunch time. You really got to put the work boots on because every game means so much and you’re prepping yourself for the big stage in the playoffs and that's ultimately where we want to play our best." The Bolts travel to South Florida today to face the Panthers. The puck is scheduled to drop at 6 p.m. Previous post: Ask Gary: Will Machado, Harper still cash in?